Built in 1979, the home is situated against a hillside so that the lowest level is underground and it blends into the surroundings. The late Bill Bierrum, a Kalispell architect, designed the home. It is furnished primarily in 18th and 19th century English and Scottish antiques but also includes some French and Anglo-Indian antique furniture as well. The many beautiful paintings that adorn the home are mostly 19th century European, but a number of works by 20th century Montana artists are also featured. In addition, the home features an exceptional collection of mid-20th century Cape Dorset Inuit sculpture and prints. The collection includes dozens of stone carvings, some of which are considered masterpieces of Inuit work. 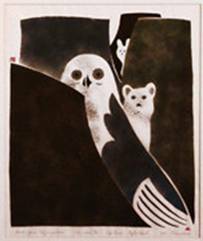 The 15 limited edition prints comprise what may be the world’s finest single collection of Inuit printmaking. A thorough appraisal of the collection by leading authority John Houston resulted in a new appreciation of these treasures, and a greatly improved display. The floors of the home are almost entirely covered in antique Persian carpets in both palace and tribal styles, all of them hand woven. Most were made in the 19th century, although some are even older. 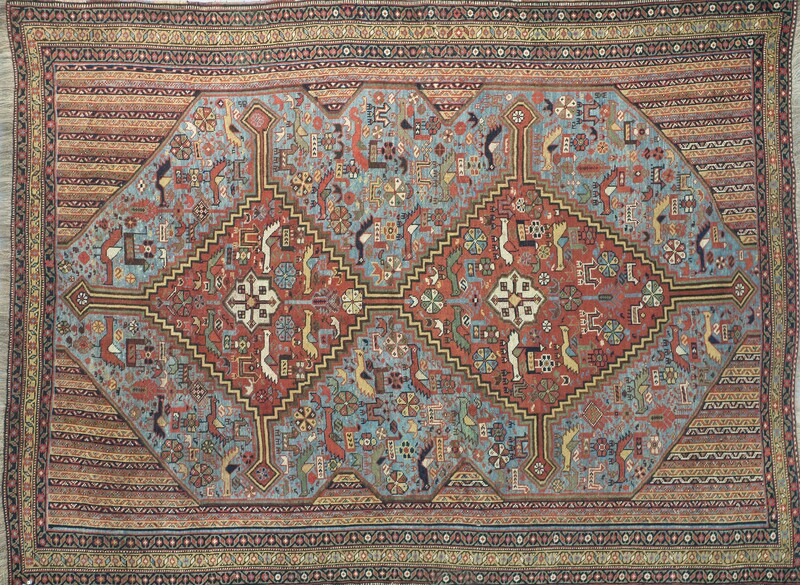 Under the guidance of James Opie, the Bibler Foundation acquired a number of antique tribal rugs and weavings that, in addition to being exceptional works of textile art, serve to illustrate the evolution of design motifs in southern Persian art. This collection is the only one of its kind in North America.